As we all know, that Cambodia is a popular tourist destination. Thousands of tourists visit Cambodia every year. With Cambodia offering many ancient holy places that attract many tourists from all over the world. The giant root of ancient trees, sandstone holly place, Angkor Wat, Bayon are few examples of an iconic places in Cambodia. However, Cambodia is not all about ancient ruin but also offers many beautiful beaches with beautiful scenery and clear water. 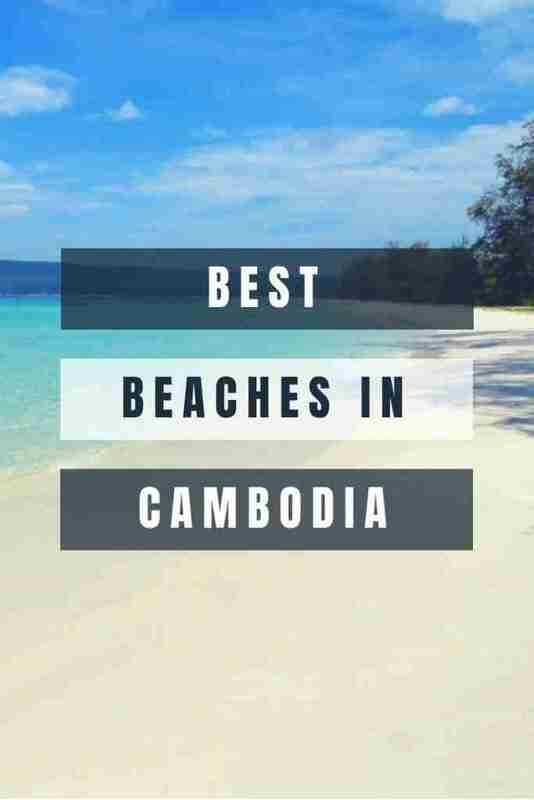 Yes, Cambodia has some of the best beaches in the world. It is true that many beach lovers often forgets about Cambodia and prefer to go to Thailand especially for the beach. However, things have changed and tourists have realised that Cambodia has plenty of beautiful beaches to visit. When you visit Sihanoukville, you will realise that Sihanoukville is a popular place for partying. Party lovers from all over the world come to Sihanoukville to enjoy the best Sihanoukville nightlife has to offer. However, Sihanoukville is not only about the party, but this particular destination also offers beautiful beaches. Just a few meters away from the main streets of Sihanoukville, you can find the hidden treasure of Cambodia the Otres Beach. Otres beach is 2 km length of the white sand beach. 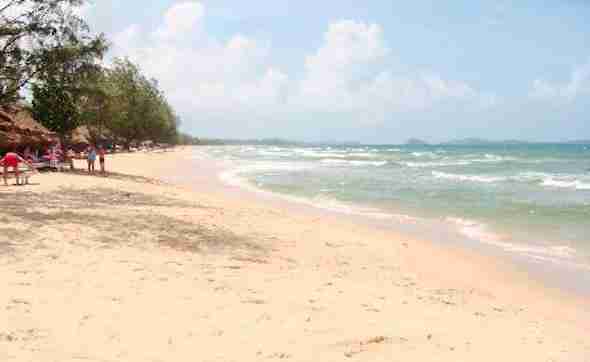 Otres beach is relatively quieter than other beaches in Cambodia. However, you still able to find some boutiques resort where you can enjoy yourself there. There many restaurants and bars alongside the beach. One of the popular islands in Sihanoukville is Koh Rong. 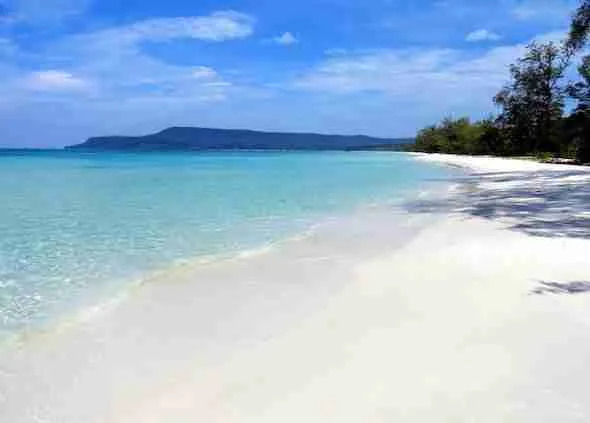 Koh Rong has many different beaches but one of the popular ones is Soh San Beach. Sok San Beach is also known as Long Beach. Koh Rong Island is beautiful but quite an island that has a very beautiful beach where you can enjoy beautiful beach scenery. This 7-kilo meter long beach has a small fishing village. People visit the Long Beach to enjoy many interesting beach activities like swimming, kayaking and so on. It worth to mention that kayaking is a great activity that enables you to explore a beautiful long beach has to offer. You can spot soma interesting flora and fauna available in the region. Situated at off the coast of Sihanoukville, Koh Poh Beach is the best beach in Cambodia. The beauty of Koh Poh beach attracts many visitors around the world. Koh Poh Beach is a quiet beach that has a beautiful jangle that you can explore. There is plenty of seafood restaurants serve a different type of seafood for you to enjoy. However, when you visit Koh Poh Beach at Sihanoukville, you have to watch your belonging. Group of monkey often steal your wallet and other personal possessions. Another popular beach in Cambodia is the main beach of Koh Tonsay Island. If you want to go to this beach, you need to go to Kep. From Kep, you need to ride a boat for about 25 minutes. 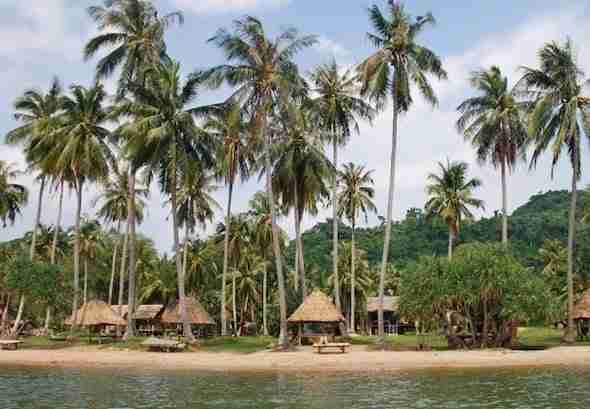 As we all know that Koh Tonsay is the easiest Island that can be access in Cambodia. Koh Tonsay Island offers beautiful beaches with many tourist amenities like hotels restaurant and so on. However, it is important to know that the sand in Koh Tonsay Island is rather yellow than white. 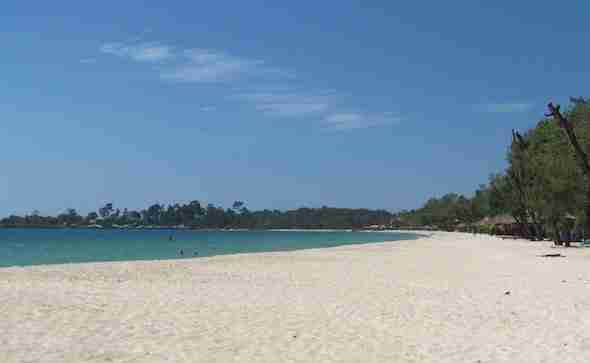 Again there is many beautiful beaches in Sihanoukville and one of them is Serendipity Beach. Located in near to Sihanoukville is a rocky beach that offers gorgeous beach scenery for the visitor to enjoy. Serendipity beach has no white sand but it has two miles of golden sand colour that adds to the beauty of the beach. Just off the main road of Serendipity beach, you will find numbers of amenities like bars, restaurants and you can also find a golf course. So, if you are a golf lover, you can bring your golf stick and play your favorite sport at Serendipity beach. Sokha Beach is privately own beach, that is open to the public. However, to enjoy the beauty of Sokha beach, you have to pay for a ticket. Sokha beach is a beautiful and clean beach where you can enjoy many fun beach activities like swimming, snorkeling scuba diving and so on. And Sokha beach also offers a beautiful resort where you can stay and enjoy a nice and warm resort located close to the beach. Another popular island is on Koh Rong Sanloen. To reach this Island, you need to ride a boat. The lazy beach is situated in the Koh Rong Samloen Island. There are many bungalows along the site of Lazy Beach overlook to the beautiful blue water. Lazy Beach offers gorgeous white sand with lush green jungle on the end of the beach. So if you are looking for a calm and quiet beach, Lazy Beach is your right option. There are also many bar and restaurant that offers different delicious seafood of your choice. Again, its Sihanoukville and there is Vitoria beach. Victoria is a popular beach is Vitoria beach. This particular beach has gorgeous white sand with many palm trees alongside the beach. If you want to enjoy, you can sit on the sea and enjoy the beauty of Victoria beach with Sihanoukville port as the background. You will able to spot boats came to the port while other boats are leaving the port constantly. Finally, there is so must to do on Cambodia with some of the best beaches and with the added bonus of loads of resorts, restaurants, activities and bars to keep you busy. And that’s it for now! 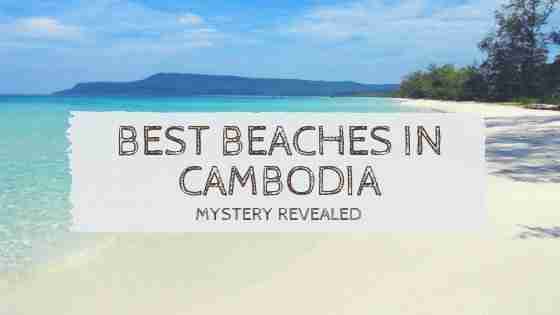 I’d love to know if this guide on the best beaches in Cambodia has helped you. Let me know if you have any questions and let me know if you go too.